Nikolai Lugansky introduces Rachmaninoff’s Piano Concerto No. 4 in G minor. This spring Lugansky performs all four Rachmaninoff piano concertos alongside his much-loved Rhapsody on a Theme of Paganini with Southbank Centre residents the Philharmonia Orchestra. To find out more and to book tickets for this very special series visit our Rachmaninoff Cycle series page. On Thursday 25 February, soprano Jane Manning, ‘one of the great practitioners of singing in contemporary classical music’ will be performing a programme of premieres with her own ensemble, Jane’s Minstrels. The concert features the London premiere of Anthony Payne’s Horn Trio and seven world premieres from David Sawer, Phillip Neil Martin, Deirdre Gribbin, Colin Matthews, James MacMillan, Dai Fujikura and Cheryl Frances-Hoad. Ivan Hewett from The Daily Telegraph discusses the concert in Saluting a gymnast of the vocal art. Read the article. Read more of this rave review by Martin Kettle on Philharmonia Orchestra’s performance at Royal Festival Hall on Thursady 4 February 2010. Philharmonia Orchestra, Resident at Southbank Centre perform one of Bruckner’s best loved Symphonies with Kurt Masur at Royal Festival Hall on Thursday 18 February. 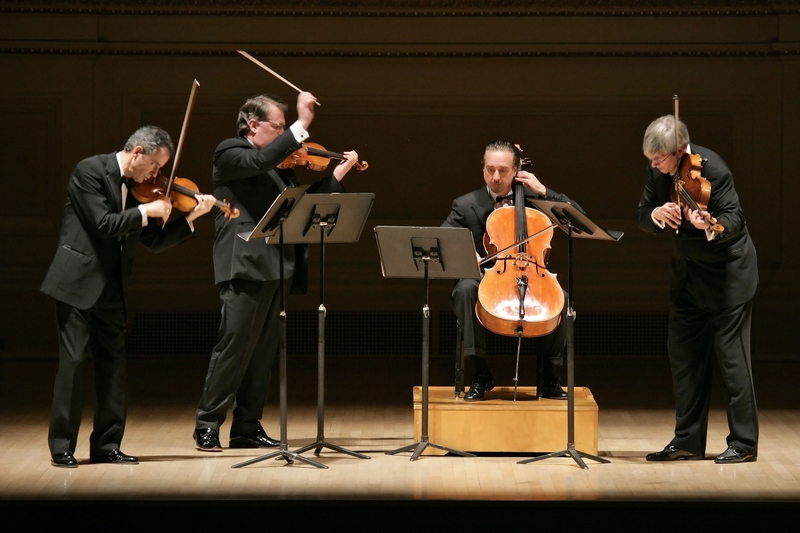 On Sunday 31 January 2010 the Emerson String Quartet’s Deutche Grammophon recording, Intimate Letters, was awarded a Grammy for Best Chamber Music Performance. On 2 – 5 March, the Emerson String Quartet brings these award-winning programmes to the Queen Elizabeth Hall for a three-day mini residency as part of Southbank Centre’s International Chamber Music Season. On Tuesday 2 March the Emersons are joined by the legendary Israeli pianist Menahem Pressler, who makes a rare UK appearance since retiring as the pianist of the Beaux Arts Trio in 2008 after more than 50 years. At the heart of the Emerson String Quartet’s second Queen Elizabeth Hall concert on Wednesday 3 March is Janáček’s Intimate Letters Quartet. The quartet is inspired by letters between Janáček and Stosslova- the young woman who was the object of his desire later in life. Paul Neubauer (viola) performs with the Emersons on Friday 5 March. Neubauer’s exceptional musicality and effortless playing distinguish him as one of this generation’s quintessential artists. Win a copy of the Emerson String Quartet’s recording Intimate Letters on Deutsche Grammophon by entering our exclusive competition. To win simply answer the following question: Which pianist is coming out of retirement to perform with the Emerson String Quartet on Tuesday 2 March at Southbank Centre? Email your answer to competitions@southbankcentre.co.uk by Friday 5 March. Please include a contact number and full postal address and put ‘Emerson String Quartet’ in the subject line. 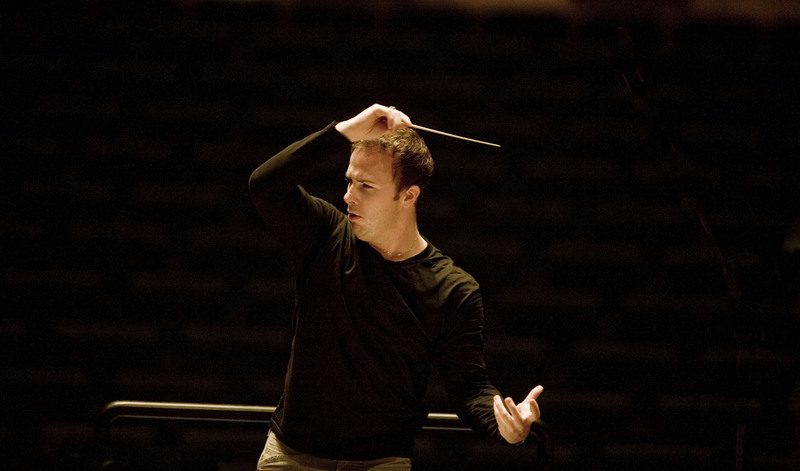 Yannick Nezet-Seguin, in his thirties and already the London Philharmonic Orchestra’s Principal Guest Conductor, is a hugely successful emerging artist, having received rave reviews and audience adulation for his London Philharmonic Orchestra concerts. What is your earliest musical memory? I was apparently trying to use the LP player all the time (yes, those old 33 rpm discs) when I was 2 or 3. Then, I started to play the piano at the age of 5, but I mostly remember spending hours exploring sounds and harmony by myself. When did you know that music was going to be your career? I took that decision at age 10… strange… I said to my parents: I will become a conductor and that was it. I don’t know how or why it happened. I had various temptations later (lawyer, journalist, economist (! ), and mostly, architect) but none was strong enough to change my focus. What was your first conducting experience and how did it go? I conducted a big choir (adults and children) in the National Anthem of Canada for a convention when I was about the same age (10), and it felt very, very natural. 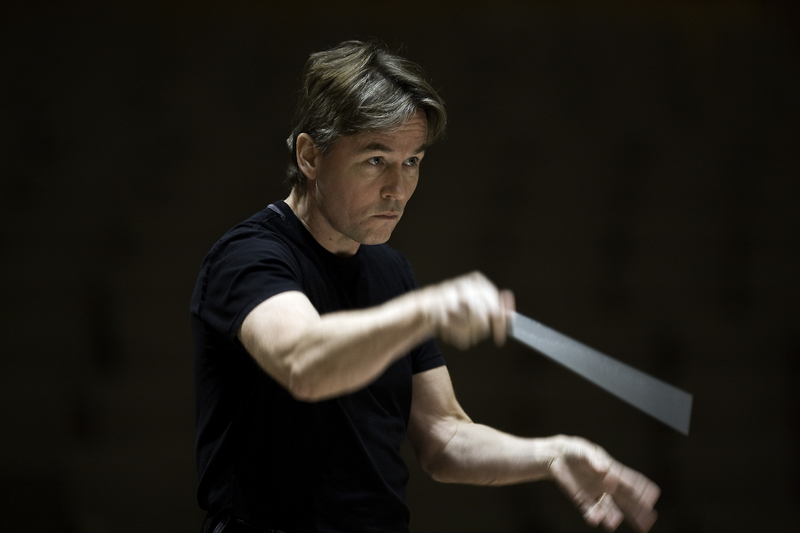 You first conducted the London Philharmonic Orchestra in March 2007. What were your first impressions of working with our players? I will never forget the concert, but also the rehearsals: even when we ran through Dvorák’s 6th Symphony at 10 in the morning, as our first encounter in music together, there was already such dedication in the playing, and such energy. Later, the dreamy atmosphere of working on Debussy’s L’Après-midi was unforgettable. I value so much the work in rehearsals, but the most important thing is to make it happen in concert, and these players have limitless emotional involvement and power in performance, which is a gift to any conductor. 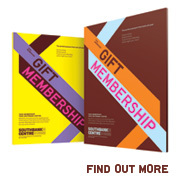 What are you particularly looking forward to in your first season of concerts with the London Philharmonic? The wide range of repertoire and genres: a trombone concerto from the 20th century, one of the greatest choral masterpieces of all time, a uniquely grand and profound symphony, the London première of a newly reconstructed work, some French, Russian, German…. all of this is what I need as a musician: to have the widest view possible of the wonderful heritage of concert music we are blessed with today, in order to look towards the future. Are you surprised that your career has developed so fast in Europe rather than in North America? Strangely enough, this is how I was imagining it would happen when I was dreaming of travelling around the world making music with fabulous musicians everywhere. In Montreal, we almost feel more ‘European’ than North American. However, I made my debut last April with the National Symphony of Washington DC, and with debuts lined up in Philadelphia, Boston and Los Angeles this season, and at the Metropolitan Opera in New York in autumn 2009, the United States will now be part of my schedule! Do you have time for interests outside music? I am a very new tennis fan; I love to watch the greatest players. I think it is a very inspiring sport for us musicians. I admire so much how Rafael Nadal goes for every shot he plays, in a passionate way. It inspires me… and that Wimbledon final! I had some tennis lessons, and I am also running and working out. Sport, after being virtually absent from my life as a teenager, is now providing me with the right elements to balance my musical life. If you could only take one recording with you to a desert island, which one would it be? Oh, that question… actually, there is one, and it is strangely related to one of this season’s concerts with the London Philharmonic Orchestra: Brahms’s Requiem with the Vienna Philharmonic, conducted by Carlo Maria Giulini, and with Barbara Bonney as a soloist. Southbank Centre has been given the green light* by the Heritage Lottery Fund (HLF) to work up plans for a grant of £950,000 to complete the refurbishment of the Royal Festival Hall’s organ. 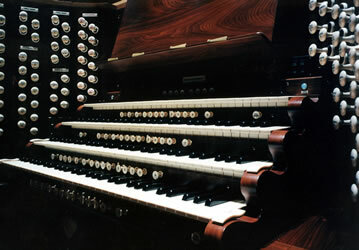 The first phase of the organ refurbishment, the restoration and reinstallation of the Swell, Great fluework and Pedal Principal 32ft stop, was completed as part of the major transformation of the Royal Festival Hall, which reopened in June 2007. The final phase, at a cost of over £2 million, will be completed in 2013. The second round application to HLF will be submitted by Southbank Centre in March and the outcome is likely to be announced in June. A major fundraising campaign will be launched in September to complete the funding required for the work. The restoration work is being carried out by Harrison and Harrison Ltd, the company that originally built and installed the organ in 1954, and was responsible for the first phase of the refurbishment. *A first-round pass means the project meets our criteria for funding and we believe it has potential to deliver high-quality benefits and value for Lottery money. The application was in competition with other supportable projects, so a first-round pass is an endorsement of outline proposals. Having been awarded a first-round pass, the project now has up to two years to submit fully developed proposals to compete for a firm award.